A Bay Ridge hotel that has long been the target of complaints from local residents is now on the de Blasio Administration’s radar. The Mayor’s Office of Special Enforcement is going to be taking a close look at the Prince Hotel at 315 93rd St., according to Councilmember Vincent Gentile’s office and Community Board 10 officials. 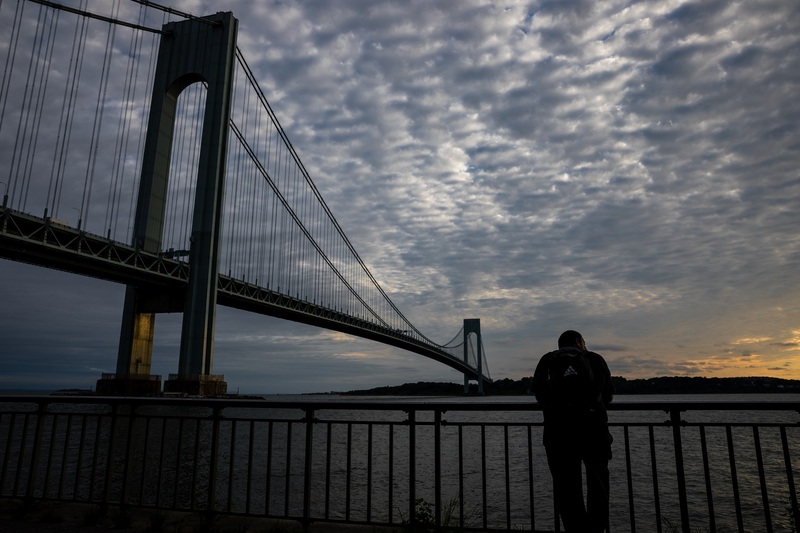 It’s too early to tell what the outcome of the probe will be, but Bay Ridge officials said they’re pleased the city is finally zeroing in on the place. Residents of 93rd Street have been complaining to local officials for years about the Prince Hotel, charging that drug dealing and prostitution takes place there and that the hotel attracts transient people. “There are many quality of life issues associated with the Prince Hotel,” Community Board 10 District Manager Josephine Beckmann told the Brooklyn Eagle on Monday. In addition to the alleged drug dealing and prostitution, neighbors have complained of numerous brawls inside and outside the Prince Hotel, according to Beckmann. But the crux of a probe would deal with building code violations and zoning issues, local officials said. The hotel has racked up numerous violations. “The Prince Hotel has not been in zoning compliance for decades. They’ve got $150,000 worth of outstanding Environmental Control Board violations, nearly 100 outstanding violations with the Department of Buildings and a temporary Certificate of Occupancy that expired back when Ronald Reagan was still in the White House,” Justin Brannan, communications director for Gentile, wrote in an email to the Eagle. The site isn’t actually zoned for a hotel, according to Brannan. The owners obtained a zoning variance to operate a hotel at the site several years ago. A temporary Certificate of Occupancy that the city issued expired in the 1980s, Brannan said. Beckmann said the temporary Certificate of Occupancy allows for 40 units of housing at the site. “They are operating transient housing with 54 units,” she said. And much of the renovation work that was done to create more rooms in the hotel was done without the proper permits, Beckmann charged. In December, the Department of Buildings issued a fine to the hotel’s owner for violation of the Certificate of Occupancy, Beckman said. Concerns over the Prince Hotel went into overdrive when it was recently revealed that the New York City Department of Education plans to build a pre-kindergarten center down the block from the hotel. The pre-kindergarten center would be built at 369 93rd St. at a site currently occupied by a one-story medical office building. The center, which will accommodate 144 children, is scheduled to open in September of 2017. “It’s a good idea to build a school but not on the same block as the Prince Hotel,” Beckmann said. Dozens of residents flocked to a public hearing Community Board 10 held on Feb. 25 to express concern over the location of the new pre-kindergarten site. Beckmann said she brought a large folder of paperwork on the Prince Hotel that she keeps on file to the hearing. “I sympathize with the residents and I share their concerns,” she said. Both Community Board 10 and Gentile have been pushing the city to take action. “Our office has been working very closely with the Mayor’s Office of Special Enforcement with regard to the Prince Hotel and they have been very responsive and receptive under this new administration. Indeed, they’ve done more to help us get to the bottom of this situation in one year than the previous administration did in 12. And, to that end, an investigation is pending,” Brannan wrote. “Efforts are being made to bring the building into compliance. The bottom line is: there shouldn’t be a hotel at that site,” Beckmann said. Efforts to reach the hotel’s owner were unsuccessful.